Why won’t Immigration Services provide relief for this abused guestworker? 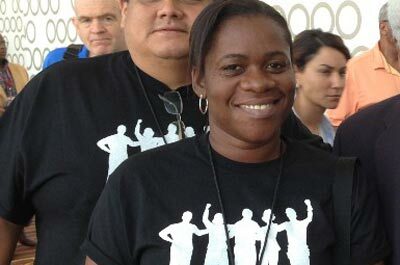 When Shellion Parris talked about her experience as a “guestworker” at the White House earlier this month, the 35-year-old Jamaican immigrant told a tale familiar to many immigrants. She had taken on debt to secure a work visa for the United States, because she had hoped to land a job as a cleaner in this country, only to be defrauded, forced into indentured servitude, and ultimately threatened with deportation. But she told a tale of heroism, too: She and her fellow guestworkers had staged a dramatic protest campaign in 2013, and she is now a leading immigrant activist. But Parris could have told another, more common story at the White House Summit on Worker Voice. As she shook President Obama’s hand, she was facing exile. Her claim for immigration relief had just been rejected; she understood she could face deportation at some point—the immigration bureaucracy could abruptly cut off an ongoing struggle to defend workers’ human rights. In a lengthy letter sent earlier this month, obtained by The Nation [PDF], US Citizenship and Immigration Services listed out her grievances and recognized her claim of “involuntary servitude.” But the evidence provided, the agency explained, wasn’t enough. Parris did not offer “relative and probative evidence” that her mistreatment had resulted in “substantial physical and mental health issues” that were severe and lasting enough to qualify for the relief she sought—a special visa for crime victims. The rejection—which the National Guestworkers Alliance (NGA) says reflects a pattern of rejections of U-visa applications from the Jamaican workers—is coldly thorough. USCIS acknowledged many of the statements in the original labor complaint: to participate in the guestworker program known as H2-B, Parris and others had paid huge fees to a recruitment racket linked to the subcontractor Mister Clean, which provided housekeeping services to the Florida luxury hotels. 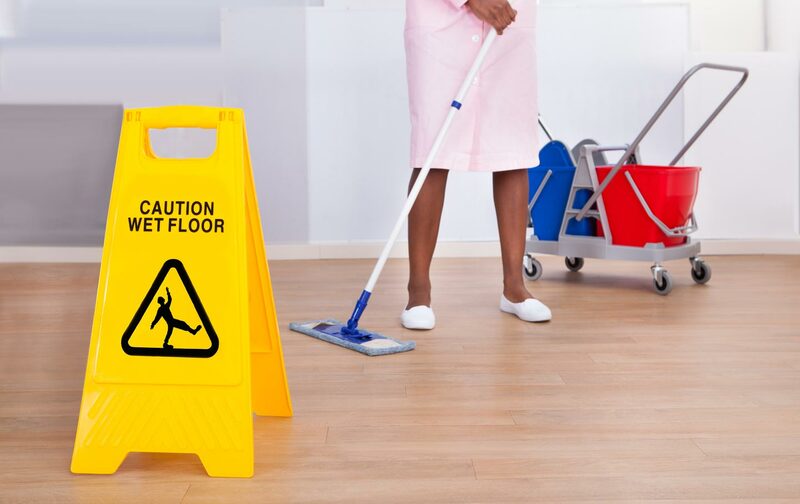 The promised jobs never materialized; what meager wages Parris did scrape up with sporadic cleaning shifts paid little to nothing, while she faced mounting debt compounded by exorbitant fees unfairly deducted from her checks. The workers were crowded into ramshackle housing and were basically legally captive, as their visas were tied to their employment arrangement with Mister Clean. The visa she and fellow workers have applied for, the U-visa, is designated for victims of crime in the United States who have participated in an investigation and “suffered substantial physical or mental abuse as a result” of their victimization. It’s the word, “substantial,” that apparently provides the wiggle room for vague denial. Despite having triggered a federal investigation, with ample supporting evidence from legal advocates, her harm, according to the agency, somehow wasn’t substantial enough. Maybe Parris’s dogged activism had overshadowed evidence of suffering. After complaints to the company went ignored, she and others in her group of about 100 workers organized to strike to protest their labor conditions. Braving threats that their employer would report disobedient workers to immigration authorities, Parris reported on the boss to labor advocates. The workers partnered with the NGA, leading to a formal federal complaint and national media attention. By calling out Mister Clean over “low pay, unfair deductions, [and] poor living conditions,” the campaign exposed systematic abuses throughout the guestworker system, revealing the need for greater oversight and regulatory reform. Immigration officials, however, weren’t convinced by the evidence that Parris submitted showing she “had suffered mentally, physically and socially” from the mistreatment, that the exploitation and threats of “deportation, blacklisting and termination” had left her impoverished and depressed, and that as a mother of two children already in the United States, Parris was deeply ashamed of her “inability to provide for their welfare.” The record supposedly provided insufficient proof of enduring, medically substantial damage. Maybe her story seemed too sadly common to the authorities. In her current work with the NGA, Parris continues to advocate for a massive workforce of guestworkers in seasonal labor programs, which import hundreds of thousands of immigrants for low-wage service, industrial, and farming jobs. Exploitative employers often operate with impunity, and violations might incur only minor fines. She’s still haunted by the prospect of being expelled back to Jamaica, where she has “nothing,” due to her financial ruin. But, though poor, jobless, and in legal limbo in a foreign land, she remains determined to keep organizing. At the White House summit, Shellion’s own story became just one footnote in a greater narrative of a growing social movement—one that many guestworker-activists are writing every day on behalf of those who can’t tell their story.